Closeup of dried samaras clusters on dead branches of a tree. 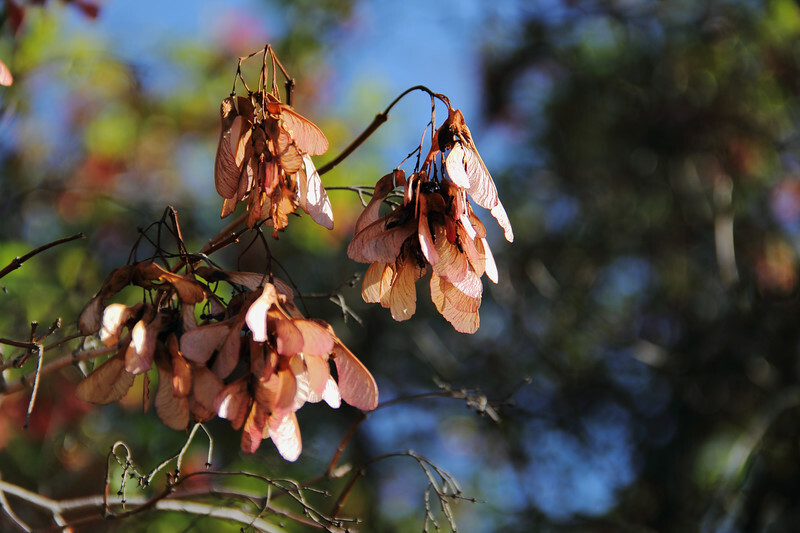 The winged seeds are pinkish in color and hang down in bunches from their leafless branches. The background is blurry. The landscape color photograph was taken during a clear sunny day.